Lead From Where You Live – French Roast Blend, is roasted by Colectivo Coffee. Our Organic and Fair Trade French Roast Coffee originates from Indonesia and Central America. 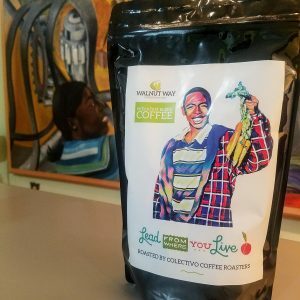 The flavor is robust, darkly roasted, making it lower in acidity and stronger in flavor! Featured on the French Roast Blend is Gerry washing the purple carrots she harvested from the Walnut Way gardens. 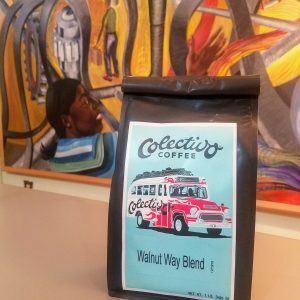 Lead From Where You Live – French Roast Blend, is roasted by Colectivo Coffee. Our Organic and Fair Trade French Roast Coffee Blend originates from Indonesia and Central America. The flavor is robust, darkly roasted, making it lower in acidity and stronger in flavor! The French Roast Blend artwork features Gerry who served as a Growing Youth Leadership intern. Pictured in the artwork, she is harvesting non-gmo heirloom purple carrots. 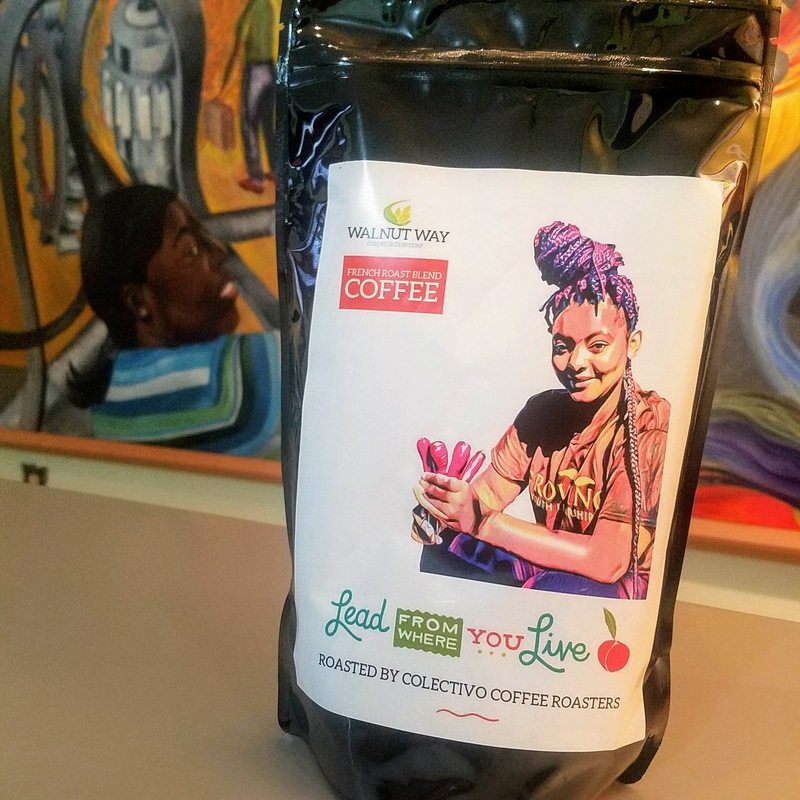 Growing Youth Leadership is Walnut Way’s signature summer teen internship program engages teens in urban agriculture, education, leadership development, and job training. Teens grow a wide range of chemical-free produce in the Walnut Way gardens and sell their harvest at local farmer’s markets. 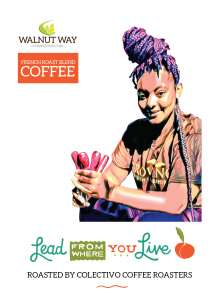 With your purchase of the French Roast Blend, you will continue to help support Walnut Way’s programs and initiatives and provide opportunities for young people to be environmental stewards and civically engaged in productive activities. **Please note, we do not offer shipping. After you make your purchase, please arrange pick up from the Walnut Way office Monday through Friday 9:00 a.m. to 5:00 p.m. Contact Erica Heisdorf-Bisquerra at erica@walnutway.org or call 264-2326 ext. 24.